The City Law School, under the aegis of the Jean Monnet Chair in EU Law, presents a guest lecture by Advocate General Michal Bobek (European Court of Justice). The event will be chaired by Professor Panos Koutrakos, Professor of EU Law and Jean Monnet Chair in EU Law, City, University of London. Advocate General Michal Bobek has been at the Court of Justice since 7 October 2015. 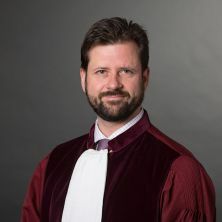 He was Professor at the College of Europe in Bruges (2013-15), and fellow at the Institute of European and Comparative Law, University of Oxford Faculty of Law (2011-2015). He previously qualified as a judge in the Czech Republic and worked as a legal secretary to the Chief Justice at the Supreme Administrative Court of the Czech Republic. Advocate General Bobek is the author, amongst others, of Comparative Reasoning in European Supreme Courts (Oxford University Press, 2013) and of numerous articles, as well as the editor of Central European Judges under the European Influence – The Transformative Power of the EU Revisited (Hart Publishing, 2015) and Selecting Europe's Judges - A Critical Review of the Appointment Procedures to the European Courts (Oxford University Press, 2015), and the co-editor of Air Passengers Rights – Ten Years On (Hart Publishing, 2016).